Committing sins and asking for forgiveness just got easier. 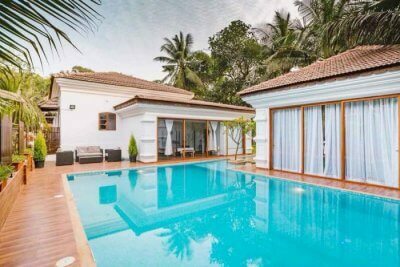 All this while, if Goa was just a chilling and partying place for you then you might have missed out on a lot of architecturally and culturally rich temples in Goa. Explore with us the not so desired as a pilgrimage tourist site of the Indian state. The list of famous temples caters to every kind, the devotees, the photography fanatics, the history buffs and the experience seekers as well. A little dose of flashback will do well here. Before Portuguese claimed Goa to be their land, it was home to the tribes of Konkani which later bowed down their services to the Maratha rulers. 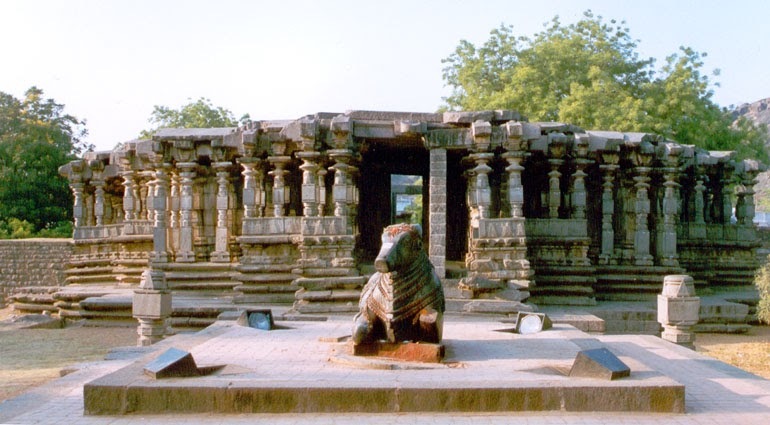 Further which led to the construction of some present-day spectacular and fabulous temples. 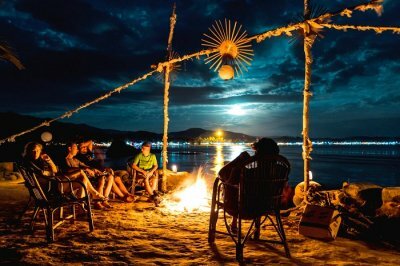 We bring you here a list of all of these to make your next trip to Goa hassle free. One of the many important Hindu temples in Goa, Shri Saptakoteshwar Temple stands with the architectural beauty of the Mughals, the mandap or the temple hall with designs from the Europeans and a tall lamp tower. Devotees from all over the country visit the holy place to attend an important annual temple festival called Gokulashtami. 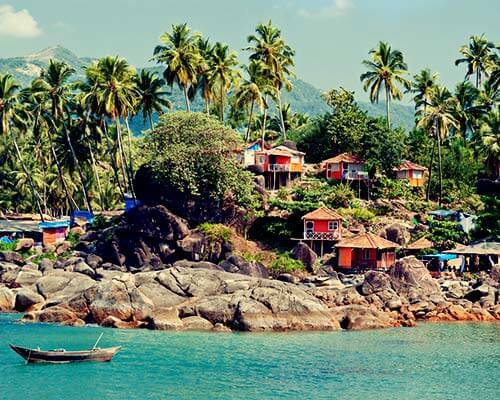 So, do not miss out on this magically beautiful place on your next trip to Goa. Visit Goa – the beach capital of India. Explore golden sandy beaches, casinos, and night markets. 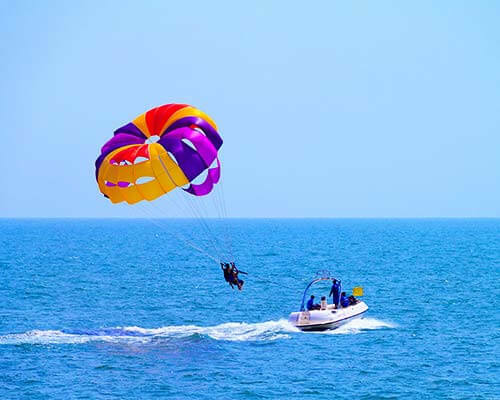 Book your Goa holiday on TravelTriangle for the best experience of water sports, seafood, and luxury resorts. Inclusions: Hotels, cab, water activities, & sightseeing. 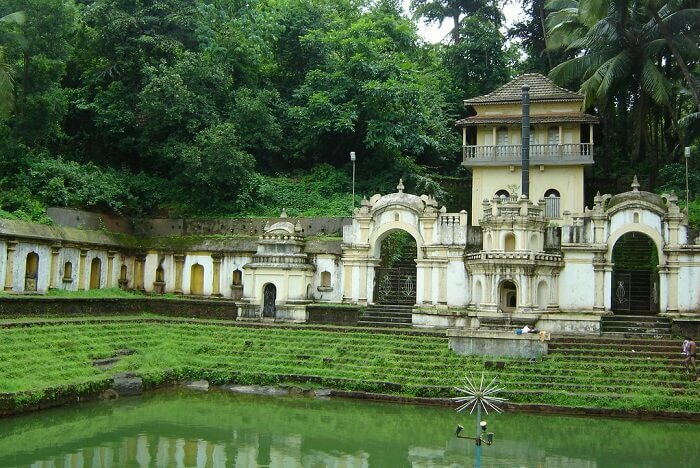 The list of famous temples in Goa include Maruti Temple as well. A visit to Maruti Temple is a must on your trip to Goa. Maruti Temple is a perfect place for the history buffs due to a long yet an interesting story behind the building of this temple. Lord Hanuman or the Monkey God is worshipped here. 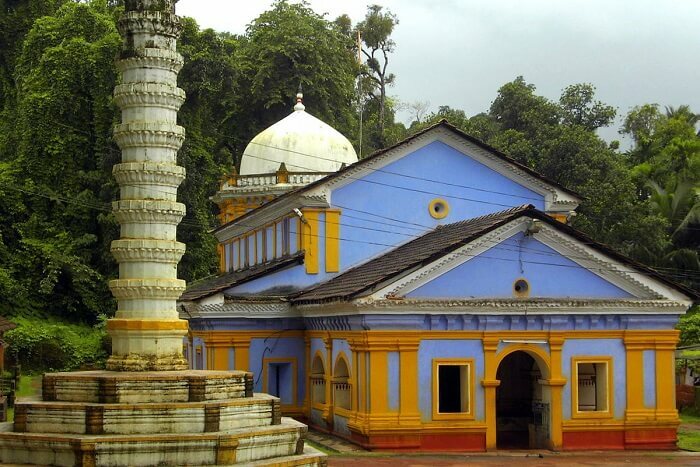 Do visit Maruti Temple when in Goa to explore the intriguing history behind its construction. 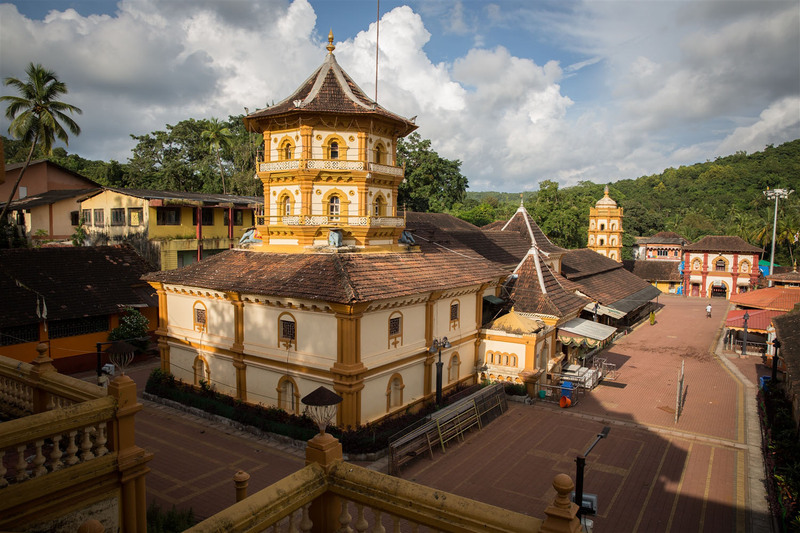 One of the most important and most visited Hindu temples in Goa, Mahalaxmi Temple abodes the presiding deity of the Panaji Village. The sanctum of this splendid temple has around 18 pious images which depict the sects from the Holy Bhagavata. Mahalaxmi Temple attracts a lot of pilgrims throughout the year. Wearing a linga on her head, the deity of Mahalakshmi is worshipped as the Goddess of wealth and peace. Declared as a protected monument, Mahadeva Temple is historic enough to fall in the category of the old temples in Goa. Dedicated to Lord Shiva is a unique self on the architectural basis. A pillared entrance hall, made up of the finest basalt stones and also bears a three-stepped entrance to worship the linga. 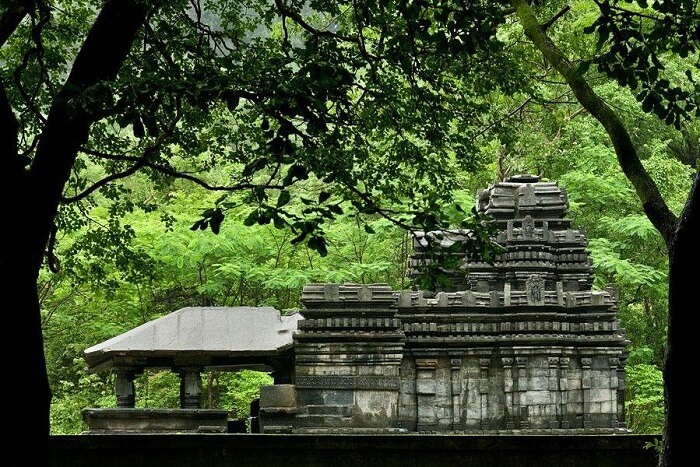 The Tambdi Surla temple attracts devotees and nature lovers as well throughout the year. 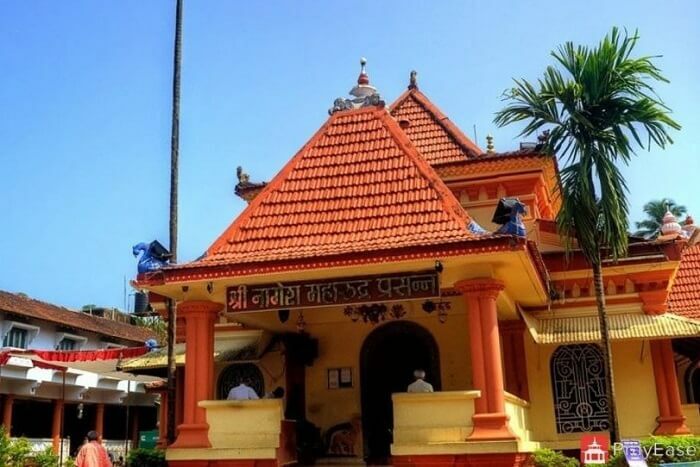 Surprisingly, the Temple of Shantadurga can be found at three places in Goa. Shantadurga temples in Goa are at Kavlem, Pemem, and Quepem. 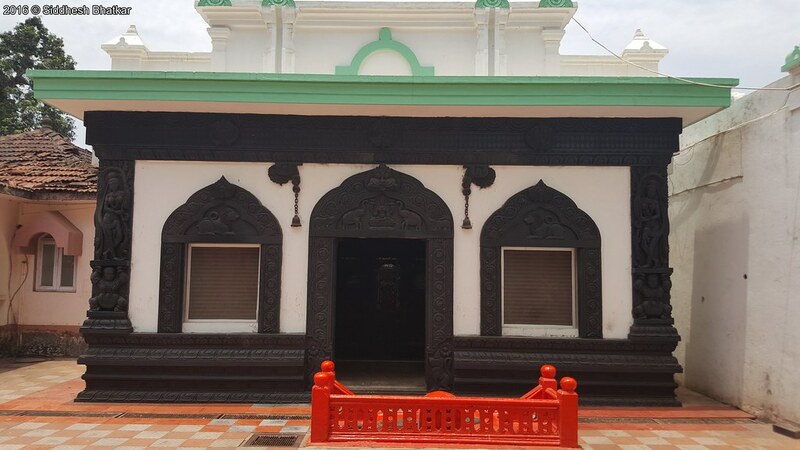 The Shantadurga Temple located in Quepem is a true symbol that God Is One because here, the deity is worshipped by both Hindus as well as the Christians. 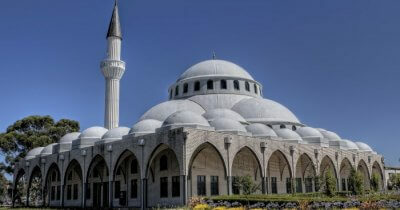 As the name suggests, this serene place is a true symbol of peace and harmony. 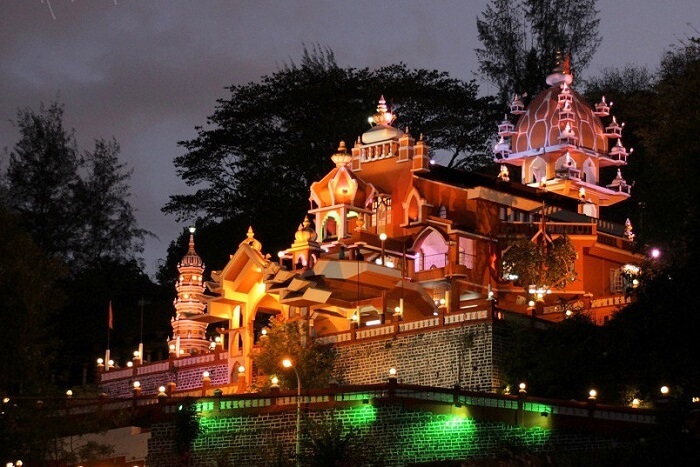 Also, it is a must visit among the many temples in South Goa. A Temple With Healing Powers! Situated on the banks of the Kushawati River, Shri Damodar Temple is the home to the deity of Lord Shiva’s incarnation as Lord Damodar. 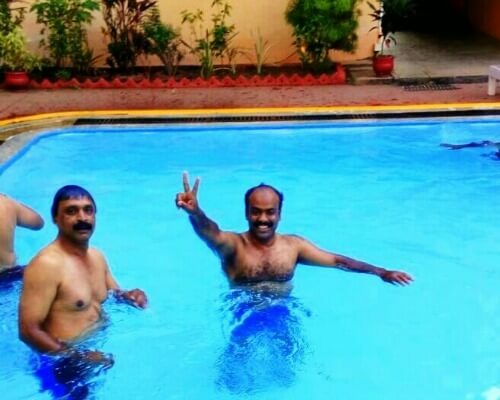 A large number of devotees believe that Kushavati River can heal the body ills with its healing power. According to the temple rituals, there is a Palanquin carried out where the ideal of the Lord Damodar is held around the temple premises. During the procession, it takes around fourteen halts to just stand for a while and sing bhajans. Do your next trip to goa some justice and visit this one of the famous temples in Goa to witness the colours and songs of peace. 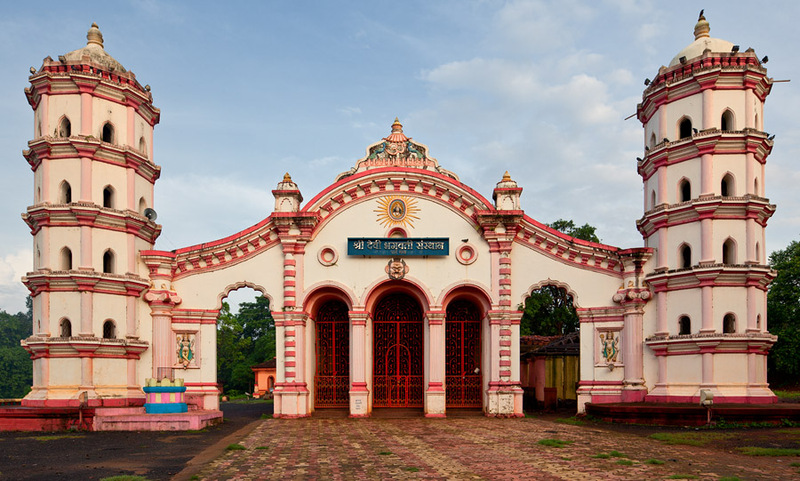 With a sack full of various beliefs, the Mahalsa Temple is among other famous temples in Goa. Some say that the small pool of water inside the temple was sprouted by Goddess when she struck it with her toe. And to no surprise, an idol was found at that same place with hundreds of stories behind it. To attain divine experience, one must attend the aarti sequences or maybe the daily rounds of worship held in the temple premises. Nearby attractions: Butterfly Conservatory of Goa, Shri Naguesh Temple, Shantadurga Temple, Old Goa, Mangueshi Temple and Utorda Beach. Goa is majorly full of Hindu temples and another significant one among the Hindu temples in Goa is the Mangueshi Temple. 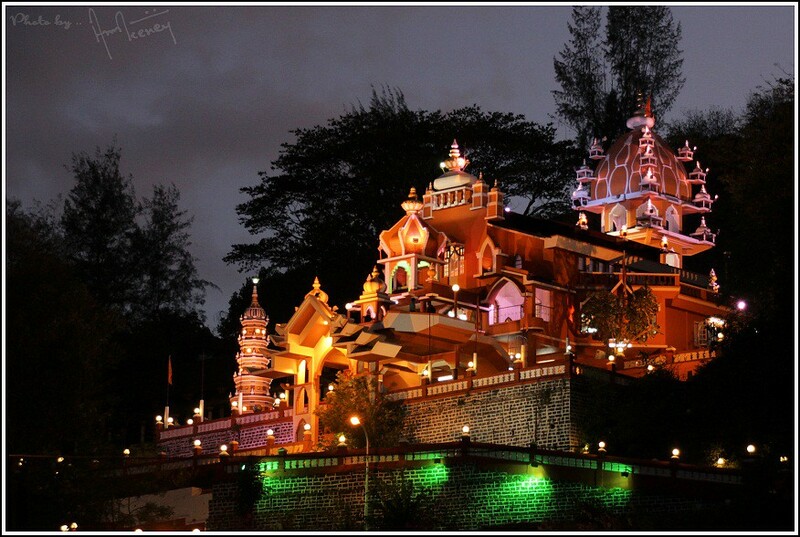 One of the best places to visit in North Goa, this temple is known for the Deep Stambha to the North of the structure which is at its best when lit with hundreds of diyas in the evening. A beautiful combination of modern day art and traditional Hindu pattern, The Mangueshi Temple is must visit on your list of famous temples here. Another important and significant temple among the temples in Goa is the Nagesh Temple. Naguesh Temple is famous for its strong & stable background. It is the only temple in Goa that was not rebuilt ever and was just renovated. You would not want to miss on the chance to see the beautiful reflections of the images that are created in the pool of the temple. This is what carries numerous tourists to the Naguesh Temple from all over the Goa. Year of establishment: 1413 A.D. 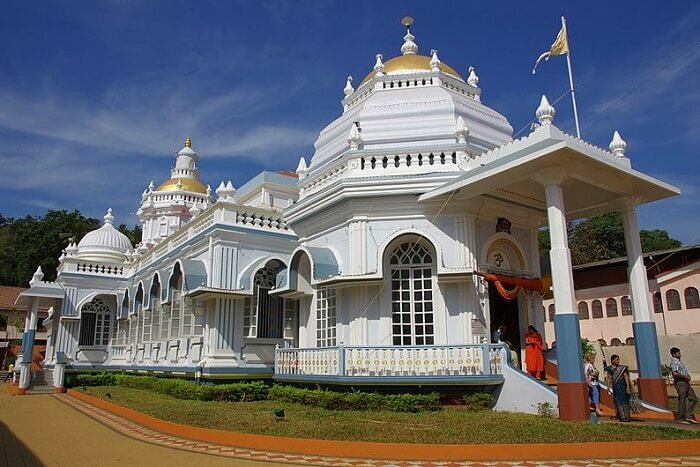 This Brahma Temple is a must visit among the Brahma temples in Goa to experience a divine temple tour. The tall and elegant idol of Lord Brahma stands in the center of the premises. The idol of Lord Brahma is portrayed in Trimurti form. It is believed that Lord Brahma will bless everyone who will come to see him. Further, which attracts a lot Hindu crowd to all the Goa temples. Another spectacular creation, the temple of Shri Kamakshi stands in amazing surroundings which adds to its beauty and charm. A divine ambiance is all what a pilgrim needs when he comes this far. 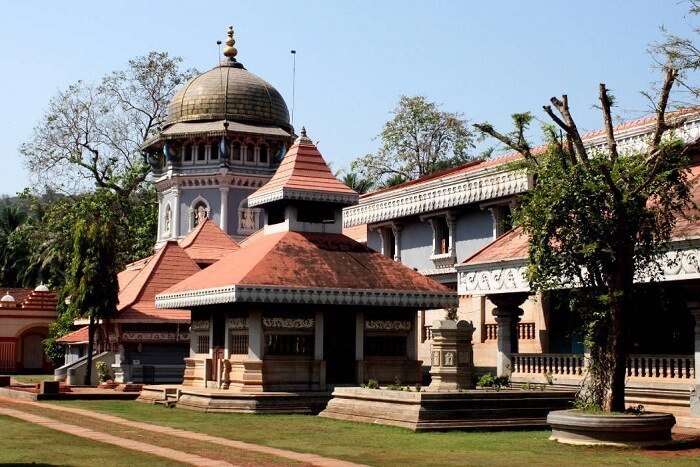 Unlike other famous temples in Goa, Kamakshi Temple is the one which abodes a water tank in its sanctum. 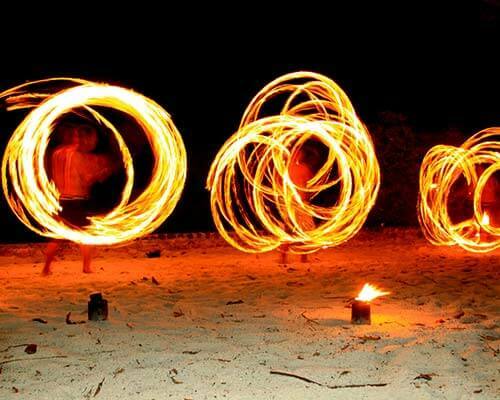 The splendid beauty and the divinity of the place attracts tourists from all over Goa. 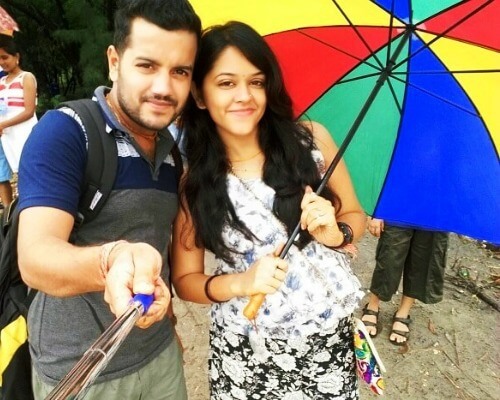 As the list is growing, it seems like Goa is everything but temples. Laxmi Narasimha temple stands in contrast to other temples in Goa with its old charm. Temple tour in India will never face recession because there is a temple in every corner and a higher population of devotees. 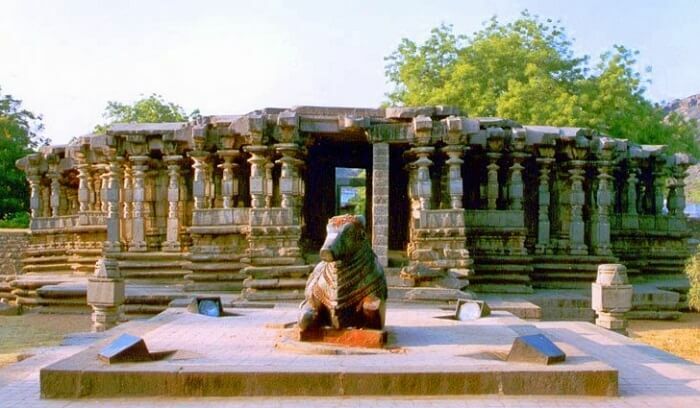 Known the for the freshwater spring that fills the temple tank and amazingly detailed carvings, Laxmi Narasimha Temples is also among the old temples of Goa. Historically Ramnath is considered to be one of the forms of Lord Shiva to whom Lord Ram paid tributes and prayed before crossing the waters to enter Sri Lanka. Therefore, Shri Ramnath Temple holds a huge amount of importance in the Hindu culture and this is one of the famous Hindu temples in Goa. What you just cannot miss while in this temple is the deepstambh and the idols of other Gods besides Lord Ramnath. Said to 500 years old, Shri Bhagavati Temple is dedicated to Goddess Bhagwati, a form of Goddess Laxmi. The temple is beautifully built with two huge black elephants on the entrance to welcome the pilgrims. 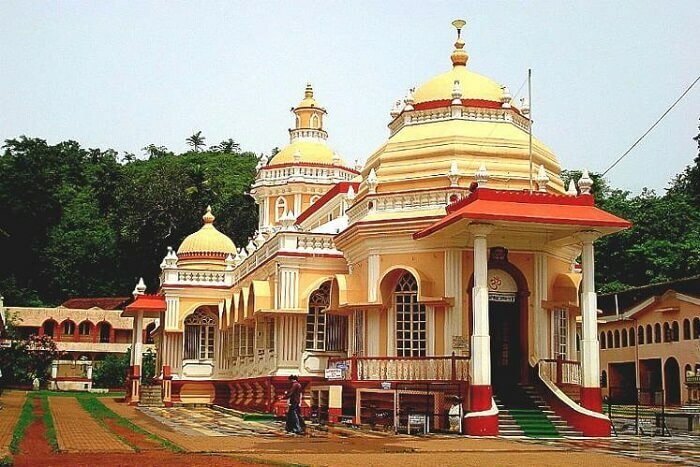 Shri Bhagavati Temple is likely famous among other Goa temples because it attracts a huge amount of visitors on the occasion of Dusshera. It is advisable to visit this temple when the festivities are around the corner to witness the colourful and full of life celebrations. 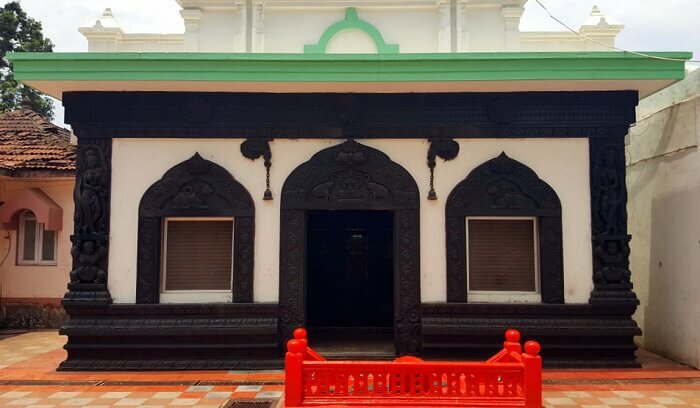 Last but not the least temple in the list of temples in Goa, Shri Rudreshwar Temple has a delightful ambiance. Otherwise called the sanctuary of Lord Shiva, the temple is situated along the Harvalem waterfalls. Pilgrims attend ceremonies at the temple to attain salvation and also to seek the fulfillment of wealth and relief from diseases. The magnificent image of Rudreshwar confronts the waterfall amidst the wonderful shiny showers. 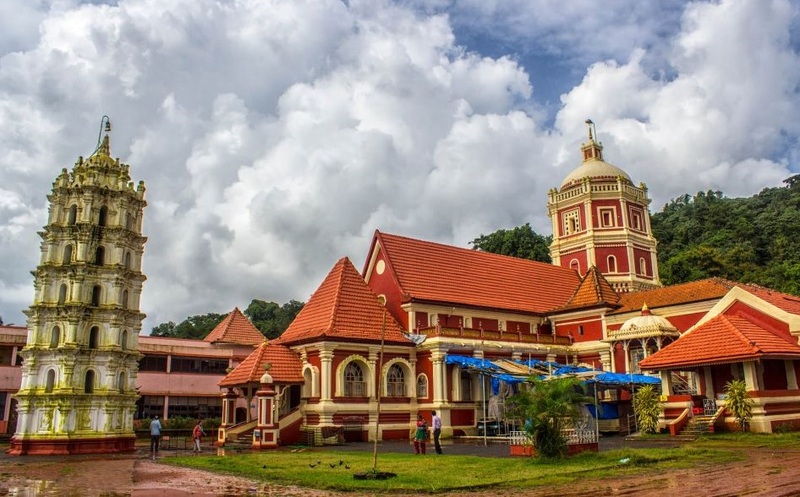 Rudreshwar is one of the most beautiful temples in Goa. Do not miss a chance to witness the spellbinding beauty of Gods on your spiritual Goa tour. Major attractions: The sanctuary is most delightful and joyous on the occasion of Mahashivratri. Hindu pilgrims also visit this temple to perform the ceremonies of the dead. The premises of the temple also acts like a dharamshala which provides facilities like pure vegetarian food and cozy accommodation options. The deity in the sanctum of the temple is made up of white marble which appears to resonate peaceful vibes all around. 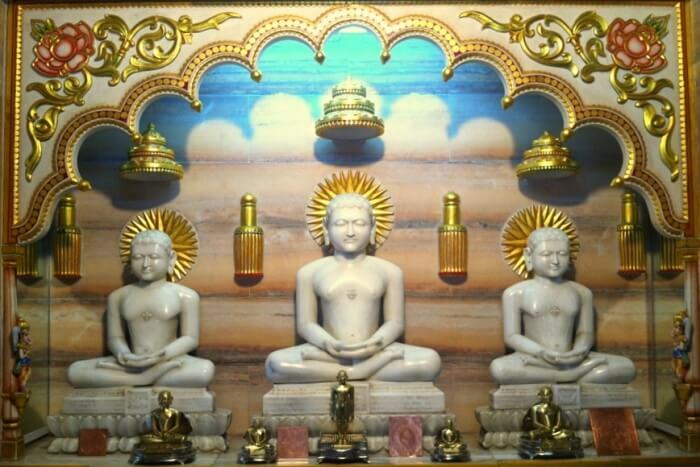 The only Jain temple in Goa, 1008 Adinath Digambar Jain Mandir is an ideal place for all Jain vacationers. Questions in mind? See if any of the following answer your queries. A. 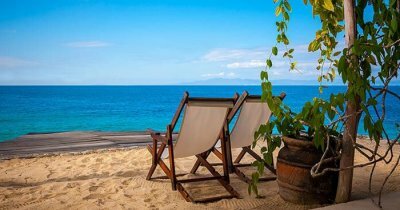 The time period between November and February is considered to be the best time to visit Goa because the weather is generally cool and pleasant than the rest of the year. 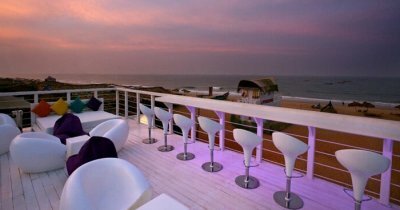 The pleasant weather allows the vacationers to relax on the beaches and enjoy the vibrant nightlife of the party capital. 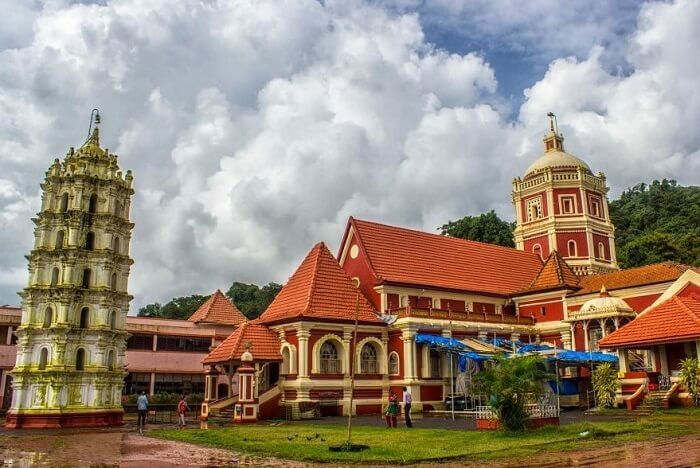 Which is the oldest temple to visit in Goa? 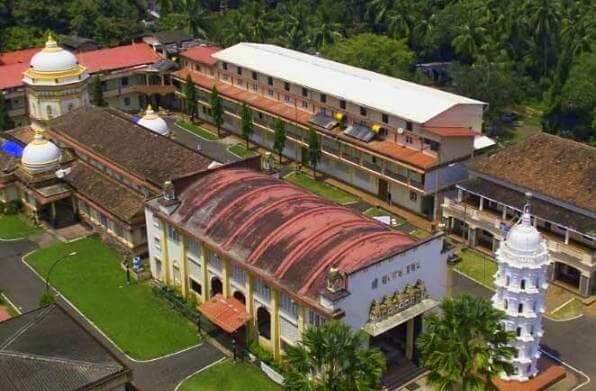 A. Goa is a very rich state historically, there isn’t one oldest temple but many. 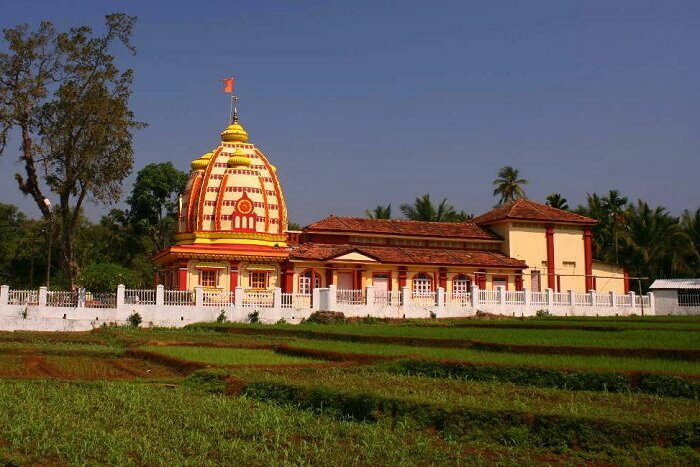 Shantadurga temple, Ramnath Temple, Mahalaxmi Temple are some of the oldest temples in Goa. 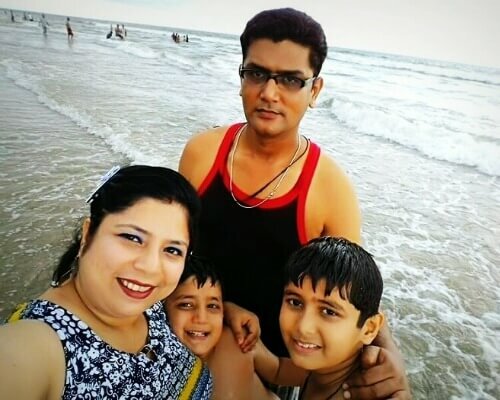 What are the places to visit in Goa other than beaches? 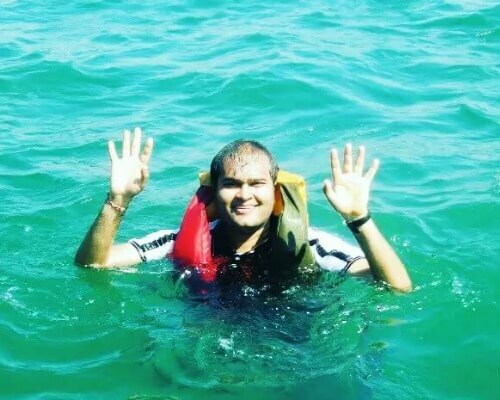 A. Goa is everything but beaches. 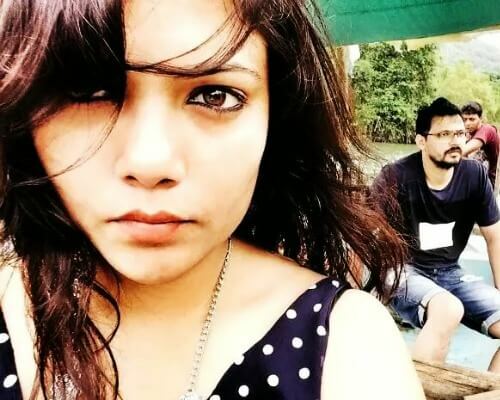 Places other than beaches in Goa are namely, Aguada Fort, Chapora Fort, Cabo de Rama Fort, Reis Magos Fort, Anjuna Flea Market, Butterfly conservatory of Goa, Mahadeva Temple, Kamakshi Temple and the list is neverending. Catering to the secular state that India is, Goa flawlessly holds everything from churches to temples. One must visit all the temples in Goa at least once in their lifetime visit to witness the beauty of culture and tradition on a different level. 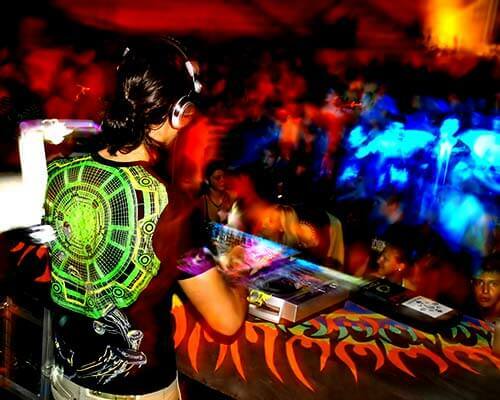 So, just hurry and book your trip to Goa to see its spiritual side. The party capital is calling you to pray!